Peach is a collection of really great pubs, mainly in market towns in the heart of England. 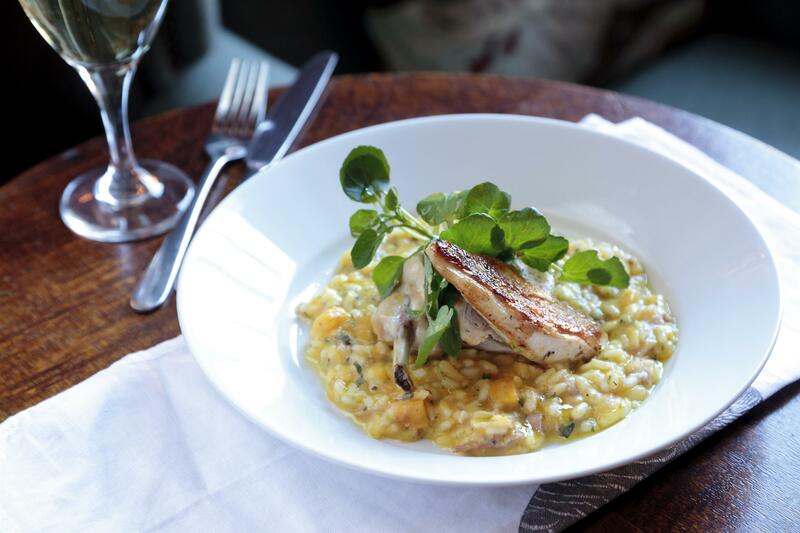 We serve good quality, fresh, honest food in relaxed, welcoming environments. Always with a kind word and a sense of fun. 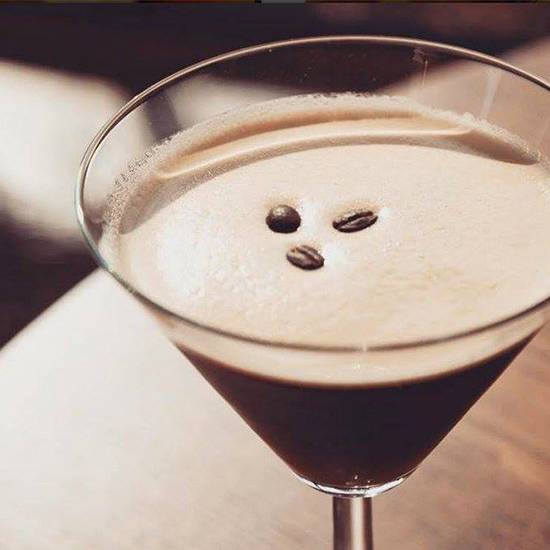 Since then we have added pubs ancient and modern, neighbourhood locals and country destinations, simple bedrooms and a chic boutique hotel, cocktails, grand gins and ever-improving coffee. Today we have twenty pubs in lovely towns and villages – and an undimmed devotion to Making life Peachy. We always been passionate about giving back and as we’ve developed and grown over the years, our ability and motivation to make the world a little better, a little peachier, has grown with us. The Peach Foundation, a non-profit organisation, aims to improve communities and the future sustainability of our world. It is funded by fundraising within Peach; a 25p contribution from every Superfood Salad sold in our pubs and sponsored events. 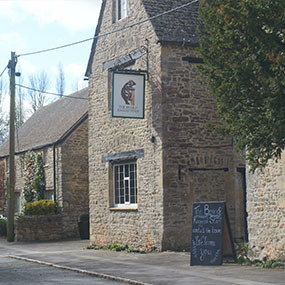 The Bear & Ragged Staff in Cumnor is a world away from the Newbury & Swindon roads that stream past only a mile from its door. The heart of the pub is a glorious Tudor beauty. Ancient fireplaces, flagstone floors and mullioned windows with carved lintels, make the bar one of the finest anywhere. A comfortable eatery, conservatory and South-facing terrace provide spaces for every mood – and winding stairs lead to cosy bedrooms with old oak doorways & beamed ceilings. 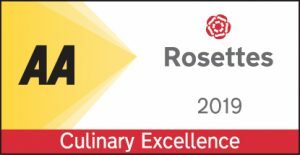 The village pub, which underwent a complete refurbishment earlier in the year as well as launching an all-new menu of freshly prepared seasonal food, achieved the 1 Rosette accolade following a recent anonymous visit by an AA Hotel and Restaurant Inspector. Demonstrating great cooking across the entire meal, serving food prepared with care, understanding and skill alongside good quality ingredients, showing standout food in the local area. We are open every day serving breakfast, lunch and dinner. We take huge pride in serving the best ingredients we can find, from ethical producers, freshly prepared by our chefs. 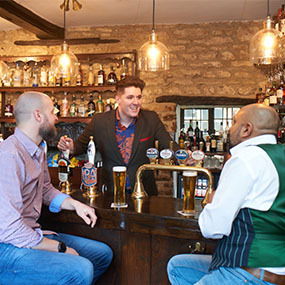 Whether you pop in for a pint, a business lunch or a special dinner, we promise you a friendly welcome. All day long. We also have nine bedrooms for a peaceful nights sleep. Find out more here. We are just off the A420 heading towards Abingdon/Cumnor/Wootton. Follow B4017 through the village, just past the shop. The pub will be on the right, just after the garage. There is a car park for guests and residents on a first come first served basis. On street parking is also available at the front of the pub. For things to do in the local surrounding areas click here. Hooray for Winter – Winter is a wonderful time to eat hearty and comforting food. 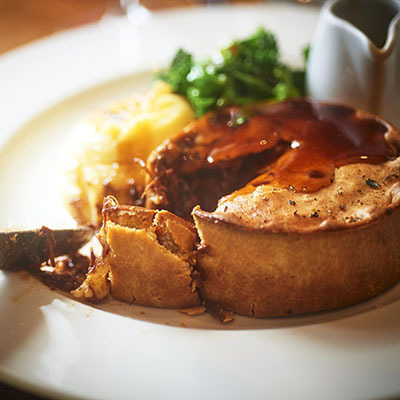 Our beef is British, grass-fed and dry-aged for unmatched flavour. All our chicken, eggs and pork are free-range. Our lamb is Cornish and most of our native fish is landed from coastal day-boats. We always serve the good stuff – cooked from scratch by real chefs. We always serve the good stuff. It’s one of our most dearly-held values. We only serve what we want to eat and drink ourselves. Our Head Chef and his skilled brigade devise our seasonal menus and our specials change daily. As well as celebrating our increasingly-vibrant British food culture, the focus on seasonal ingredients means we buy the best stuff when it’s at the best price. This way we keep prices sensible even though we’re buying top-quality ingredients. Owain’s first brush with hospitality came at 14, waiting on tables at a local country pub, partly to keep up with his big brother who’d already started work. Bags packed, and all set to read history at Aberystwyth uni, a chance comment from his dad about him having a buzz after work saw a change of heart – Owain headed off to Oxford Brookes to study Hospitality Management instead. A short spell at the Marriott in Cardiff later, Owain ran into Lee and so began a peachy odyssey – Fishes, Fleece, James Figg and the Old Mill. The Corner House in Cardiff was his next home for a change of scenery but it wasn’t long before the call came from Lee again and Owain came back to The Fishes. 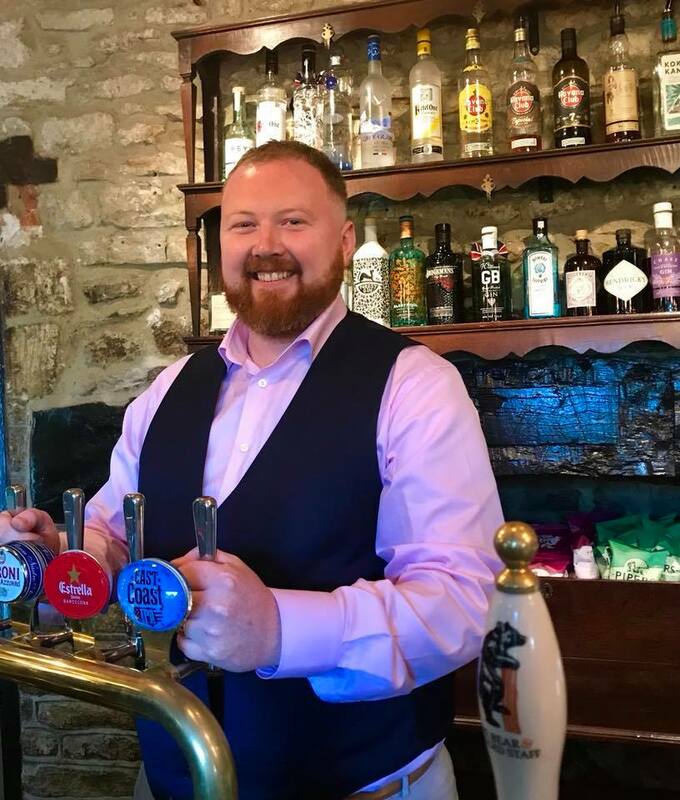 After a short wanderlust around some other lovely Oxfordshire pubs, he’s back again for a third time to take charge of this lovely inn. Welcome back Owain! Frazer always wanted to be in hospitality since ‘year dot’. Dabbling in domestic science at school only fuelled his passion and catering college sealed his fate. He loved working at The Summit in Sydney and cruising round the Caribbean. Back in London, he clubbed it at The Green Room, now Chinawhite, before moving to Harvey Nicks Fifth Floor. Heights must have suited Frazer because his next job was at The Oxo Tower, when the brasserie with the bird’s eye view of London was really flying. 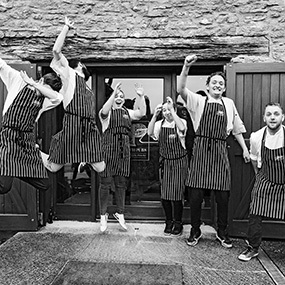 Since becoming a partner in Peach in 2008, Frazer has established the Thatch as Thame’s no. 1 food destination. He also runs The James Figg further up the High Street, voted Oxfordshire’s Best Traditional Pub in 2013. 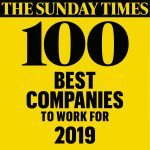 JOIN OUR TEAM - If you're passionate and enthusiastic, we want to hear from you. Our menus change with the seasons, click below for our most current ones. MAKING LIFE PEACHY - MEET THE TEAM, HEAR ABOUT OUR LATEST PROJECTS PLUS MUCH MORE. Visit our Gallery Page to see some of our favourite photos.